Public relation is the effective maintenance of a positive public image among the public by an organization or a famous personality. It is the way an organization, company or individual communicates with the public and the media. 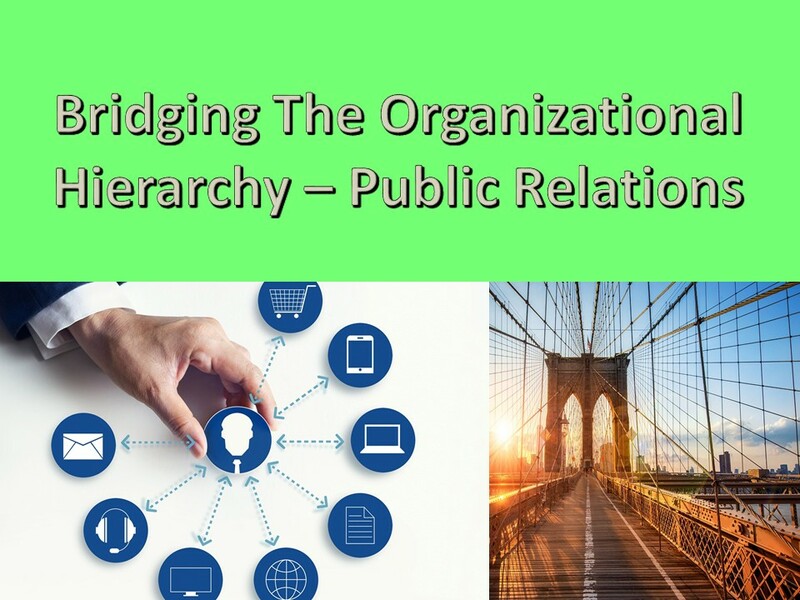 The principal advantage of Public Relation is that, it allows the organization and the public to know each other better. Thus building trust, and boosting business at the same time establishing a solid reputation. Whenever a new announcement in to be made, one of the first things to consider is to interact with the media. Call a press meet while inviting both the print and electronic media. Present the information in such a way that the news agencies gets a quality article to publish. Identify the targeted audience and make customized tailored messages to address the audience. Doing so will improve you relationship with your audience. Sometimes the audiences are also your stakeholders. So by delivering tailored messages builds a strong relationship with your stakeholders thus strengthening your administration. In the information age, the internet is a powerful tool to enhance your reputation. Social media is a great platform to reach out to the target audience. Use social media to promote, your products, ideas and messages. Also engage in forum discussions, comment on blog posts and use search engines. Let the audience know why you are the best in what you do. Frequently organize speaking opportunities with the targeted audience. Share your ideas and messages on a public speaking platform. The more you speak in public gathering, the higher will be your audience pool and stronger will be your reputation. Hear out to what the audience has to say about your products and ideas, for they know what interests them the best. Work on those suggestions and prepare a comprehensive report based on them. Deliver them on your next PR campaign. The above are some proven methods for carrying out a successful PR Campaign. But for successful implementation requires years of research and hard work. And that is a daunting task without professional help. You can take the help of a professional or take a pr training course. Let’s assume you are a Do-it-Yourself type of person and decided to go for the second option. So how can you become a successful PR Professional? Well let us find out. PR training is offered by hundreds of tutors on their websites. You can choose from a range of topics that these websites offers. Choice of discipline mainly ranges in these three categories with each category having their own sub-categories. Many universities and colleges offer their own PR Training courses. Also there are some institutes specifically providing PR training. They too offer multiple disciplines to choose from. These institutes offer both part time and full time courses as part of their curriculum. You can choose the one suitable for you. One of the best ways to learn Public Relation strategies is by following the experts in the field and seeking their advice. Seminars and workshops are the perfect places to meet and interact with such personalities. You get to learn specific strategies here. Also this method can be cost effective, as the seminars are most often free to attend. These are some ways you can train yourself to be a successful PR Professional. Visit the community library to find some self help books on ways to improve your PR Skills.Moreover the internet is a huge database of resources. You can find useful and free resources on the internet to further enrich you PR Training experience from the comfort of your home.